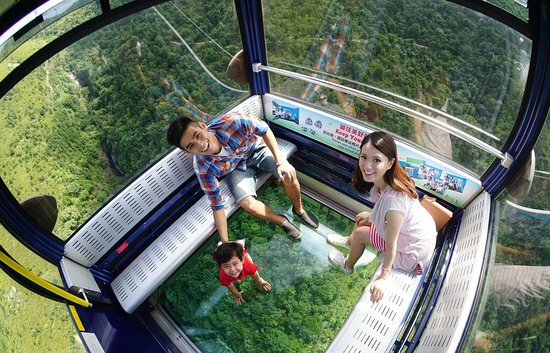 Ngong Ping Cable Car is a visually spectacular 5.7km bi-cable ropeway. 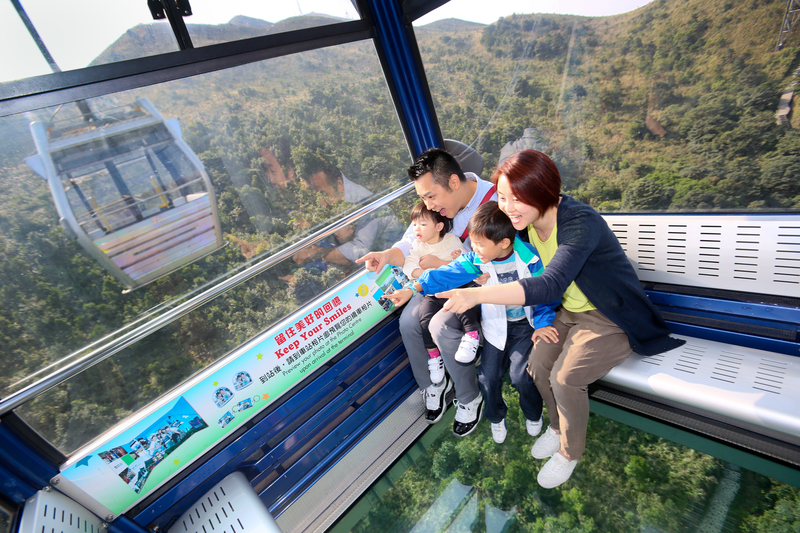 As the first of its kind Hong Kong tourist destination, the cable car journey begins from Tung Chung, crossing Tung Chung Bay to reach the angle station on Airport Island and turning about 60 degrees in the air towards North Lantau. 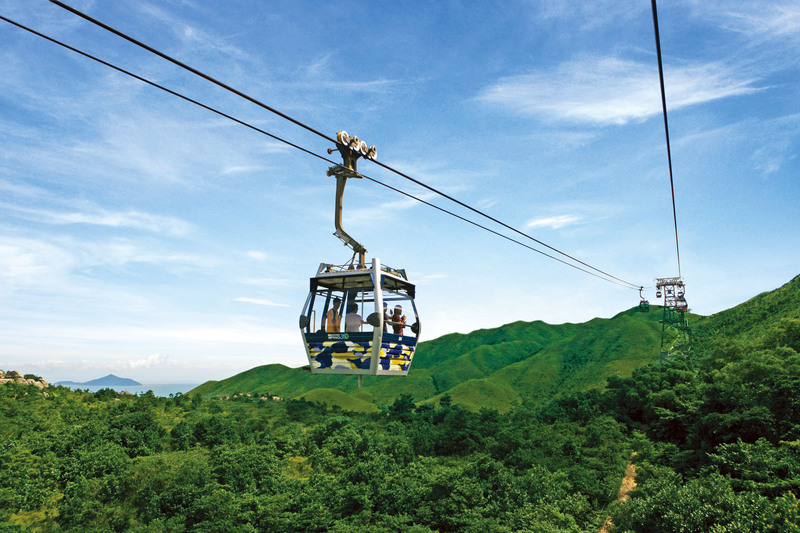 Visitors looking for something to complete their Hong Kong tourist attractions list will enjoy some of the best views during their joyful 25-minute ride: the vistas of the distant and vast South China Sea and the rolling grassland slopes of North Lantau Country Park from the cable car slowly take over from the hustle and bustle of the city. 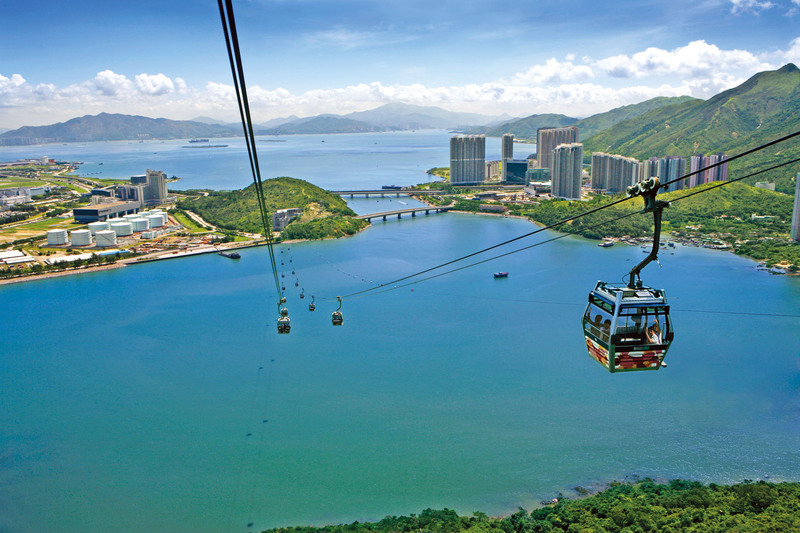 The journey also offers a breathtaking panorama of the Hong Kong International Airport, verdant, mountainous terrain of Lantau Island, Tian Tan Buddha and the 360-degree view of Ngong Ping Plateau. 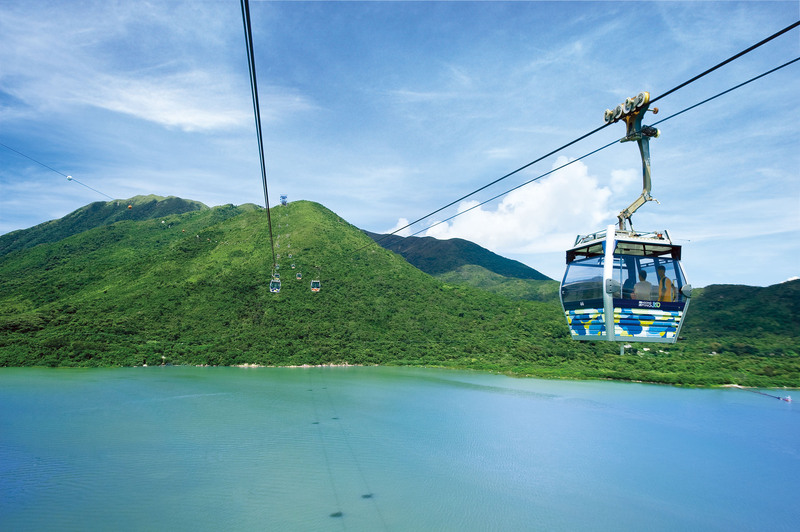 The best way to explore Lantau Tour is by joining our morning and afternoon departure Lantau tour, which includes hotel transfers, priority boarding to the Cable car, visit the different sightseeing points at Lantau Island, Tai O village, and many more! Ngong Ping Cable Car connects Tung Chung and Ngong Ping. 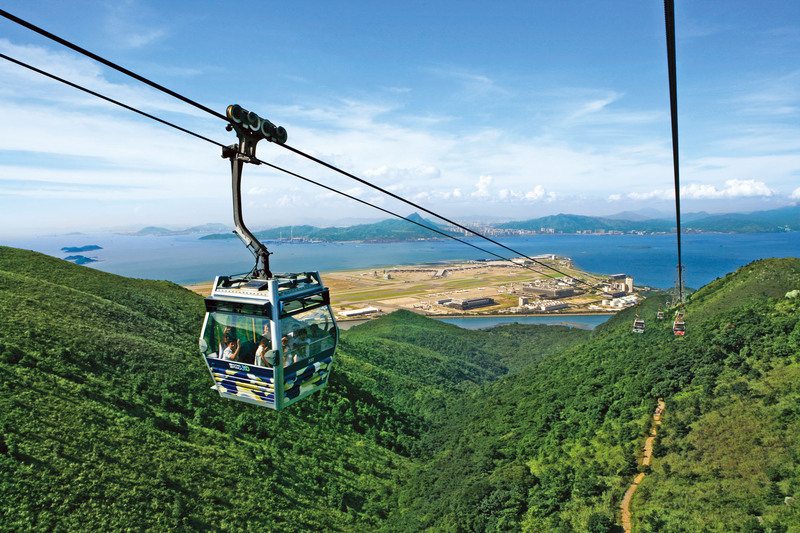 The 5.7km cable car journey offers visitors spectacular 360 degree panoramic views of South China Sea, Hong Kong International Airport, North Lantau Country Park and Giant Buddha.